Since 1988 Live Design International (LDI) has welcomed lighting and video professionals from around the globe to its annual trade show and conference. ADJ will once again have a significant presence at the 2017 show, debuting two pioneering new product ranges as well as showcasing other exciting new recent additions to the company’s expansive portfolio of lighting, video and effects equipment. Having enjoyed huge success with the AV Series of LED video panels over the last few years, ADJ will use this year’s LDI to launch a brand new video panel range, the Design Series. This innovative system comprises four modular panels of different shapes that can be combined together to create video screens of almost any conceivable shape. The DS4 (square), DS4T (triangle), DS4QC (quarter circle) and DS4HC (rectangle) can be easily linked together, rigged and transported using an expansive collection of accessories, allowing unique and eye-catching screen configurations of any size to be created for fixed installations and touring productions. Each panel is lighter in weight than most panels currently on the market, offers a 4.8mm (0.19”) pixel pitch and brightness of 1200 NITS as well as a wide viewing angle of 160-degrees (horizontal) and 120-degrees (vertical), making them ideal for a wide variety of applications. Click here to see Design Series Cut Sheet. 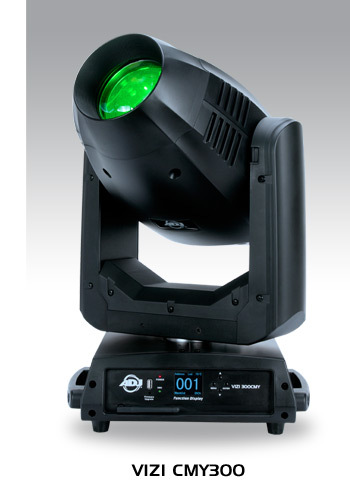 The new MOD Series is ADJ’s latest range of professional LED Pars which offer a variety of useful and unique features. Their modular design means that the LEDs can slide back into the casing to create a snoot that eliminates side glare, while an optional pearl white housing kit will also be available. This means that LED Par owners can switch between black or white fixtures, depending on the application, without having to hold inventory of two different types of fixture. The range comprises four models, each featuring the same innovative casing design, but with a different LED configuration: MOD QW100 (7 x 15W RGBW LEDs - $349.99), MOD QA60 (4 x 15W RGBA LEDs - $299.99), MOD HEX100 (7 x 15W RGBWA+UV LEDs - $369.99) and MOD TW100 (7 x 15W CW/WW/WW/Amber 4-IN-1 variable color temperature white LEDs – a LED chip made exclusively for ADJ Lighting - $349.99). Offering a beam angle of 17-degrees, each Par is also supplied with a set of three Frost Filters which can easily be locked into position in front of the LEDs to widen the beam to an angle of 20-degrees, 40-degrees or 60-degrees. ETA: January 2018. Click here to view MOD Series Brochure. ADJ’s stylish new Element Series of portable LED up-lighters will also be demonstrated at the show. Designed to make life easier for event professionals, each of the fixtures in the Element Series features an internal rechargeable lithium battery and an extended range WiFLY EXR wireless DMX transceiver, allowing for completely wireless operation. Ideal for wall washing, the Element Series fixtures are all fitted with an integral carry handle and in-built feet which mean they can simply drop in place and be ready to go. They also feature a built-in kickstand which allows the beam to be easily angled inwards if required. There are four models in the series, two with quad color LEDs and two with hex LEDs. Each type is available with a standard casing or an IP54-rated weatherproof enclosure allowing for outdoor use. All of the models are lightweight and compact, while also boasting a sleek shiny black finish. Additionally, the Element Series has two case options, the Element PC6 which holds six Element Pars, or the Element FC flight case that holds 8 Element Pars and can charge the fixtures right in the case.